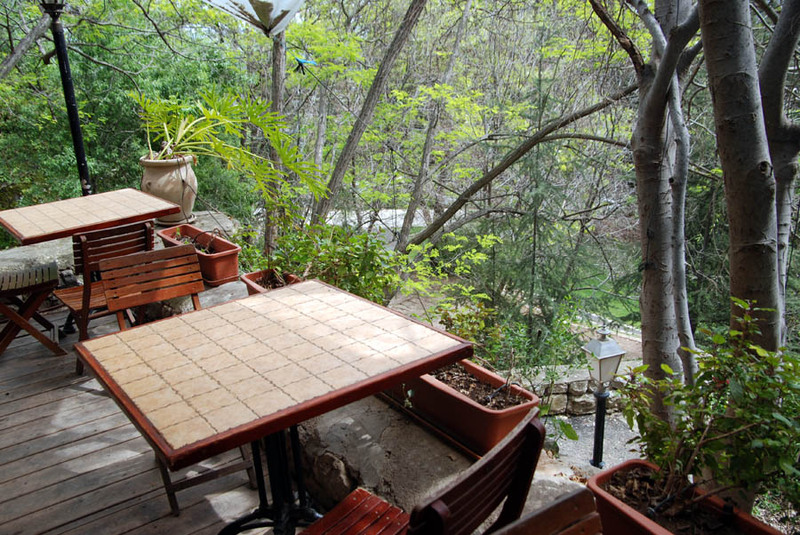 Rosh Pina is one of the most beautiful places in Israel, and without any doubt, a great place to walk around. It is a small town with magical alleys and historical buildings, all well reserved. Since that we build for you an awesome route, hope you'll like it. 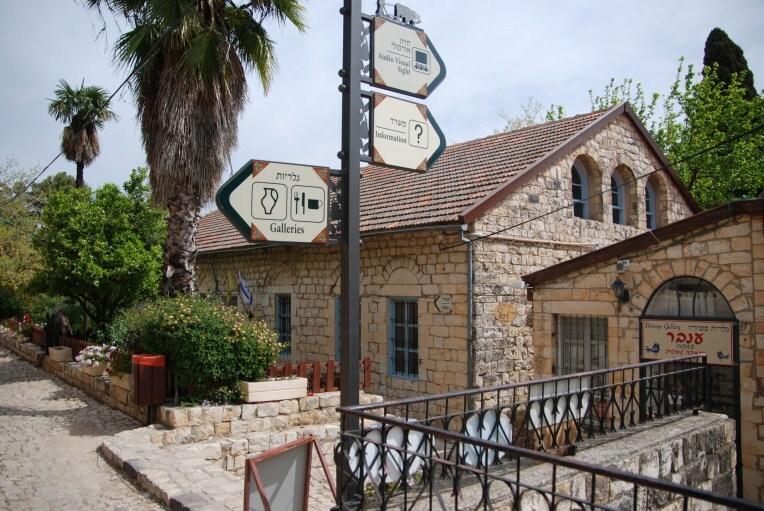 We will head out towards Rosh Pina from road 90, at the traffic light, after about 150 meters , we will turn left at the square ( the police department on our right), the next square we will turn right and go straight , on the road the heads towards Tzfat (Safed). At the end of the hill the road turns left in a very strong curve to the left, we will leave this road and go straight, on a stone floored road. After about 100 meter drive we will arrive at a splitting point to the left towards Vadi Rosh Pina and the cemetery. At the splitting point we will turn left towards the parking lot. An orange sign will direct us towards the flight of stairs towards the preserved site, directly to "the upper street". From the synagogue at the end of the stairs, we will go down right in to the "Beit Pkidut" where you may find the restrooms! We will head out for a tour from the front of "Bait Pkidut". We will go straight up the street. On our right we will see the R Altar Schwartz hotel, which was built 1890's. 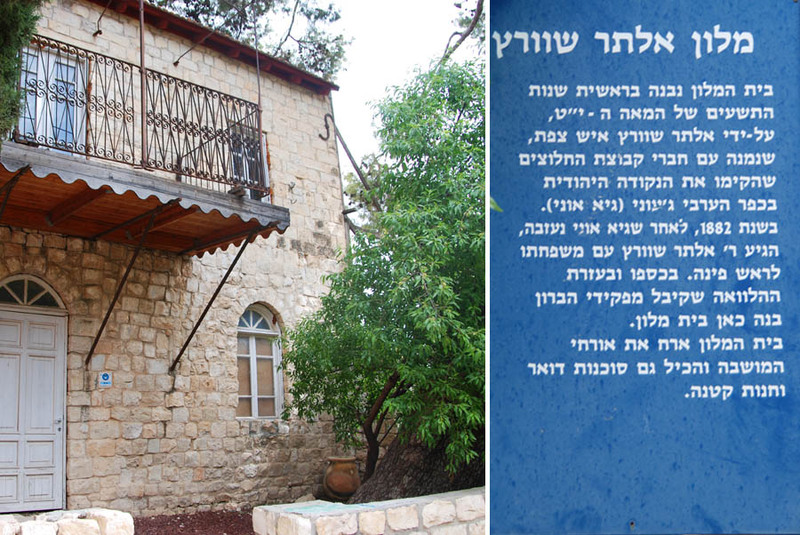 Some of the people who stayed there were Harav Kook and Trumpeldor. On our left across the R Altar Schwartz hotel, we'll see the "Beit Wilkomitz" that is named after its founder and first headmaster in the moshava and later became the residents of the headmaster. Today, after it has been reformed and reconstructed, it acts as an art gallery exhibiting the art work of the Rosh Pina artists. The next structure on our left is a synagogue; it also is one of the buildings that the baron built. 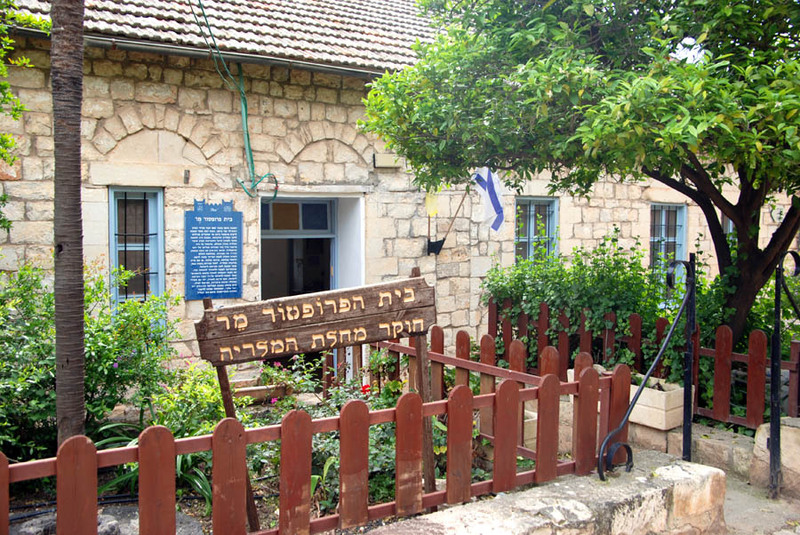 The synagogue was renovated and reconstructed and its unique character was kept. We will turn naturally to the right, and walk till the end of the street and at the next turn right we will meet the upper end of "Hachalutzim" street. 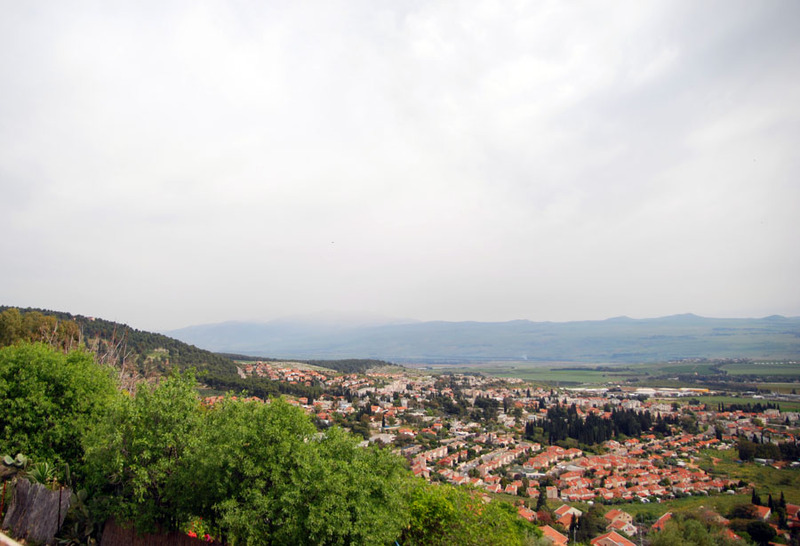 On location there is an observation post for the spectacular north-east view: the Hermon, the Golan Heights, Emek Hahola and Hatzor Haglilit. Approximately 20 meters down the street we will turn on the first turn right to "Bulbar" – this is how the people of the town called the boardwalk, where the barons men with their wives would walk at a nights breeze enjoying the view and the strawberry trees along the boulevard that were planted on the terraces on the mountain's edge (bulbar in French – boulevard). 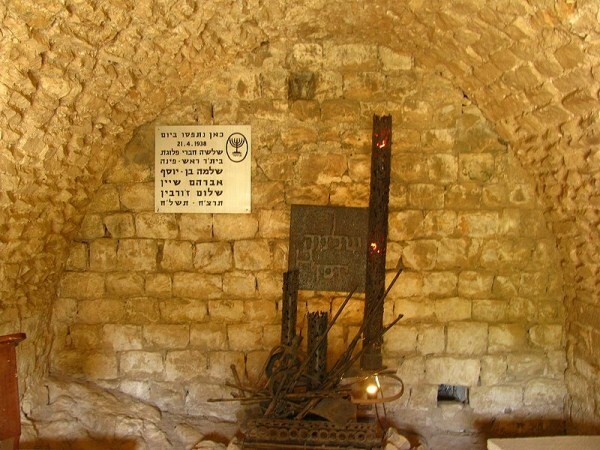 At the far end of the "Bulbar" we come full circle and arrive at the stone structure adjacent to the "Beit Hapkidut". That was the place where Professor Gideon Mar lived and where he created his laboratory where he conducted the experiments that contributed a great deal to the extermination of Malaria in the 1930's. Beneath the Mar house is the beautiful "baron garden" that was designed by a French garden architect by the name of De-Ha that was sent to Rosh Pina especially by the Baron in 1886. 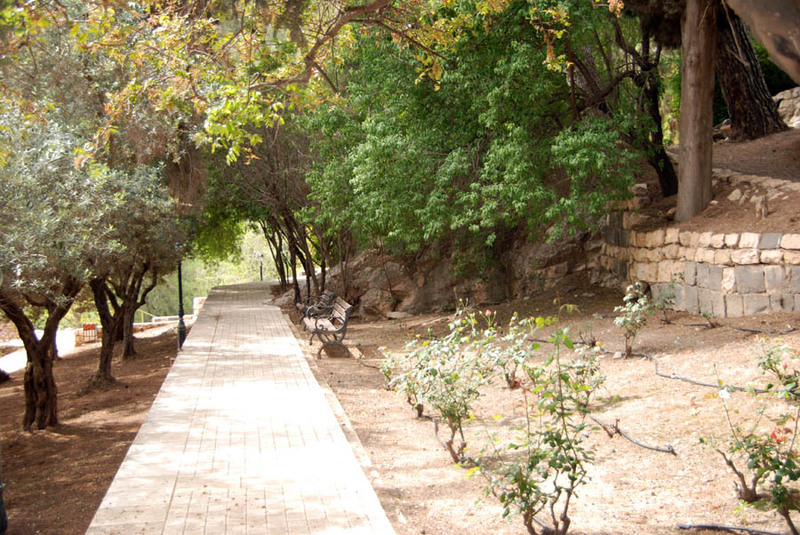 We well return to the synagogue, go down the steps towards the parking lot where we started the tour, we'll cross the street and arrive at the cemetery, and where in its upper section the pioneers and the first settlers of Rosh Pina are buried. It is possible to end the tour right here. But it is also possible to the additional time and continues touring along the Rosh Pina stream, in an orchard that accompanies the stream on both sides. On our way we shall see 3 springs that pour water in the winter and spring.